Iftar, or breaking fast, is the meal that Muslims all around the world consume at the end of the fasting day. It often begins with a couple dates and a glass of water, as per the sunnah of Prophet Muhammed (sal), followed by all the delicious snacks, beverages, desserts, and so much more. 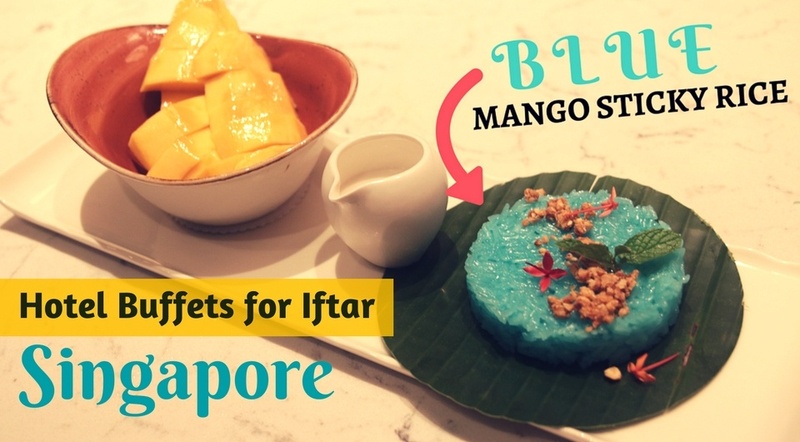 There are so many Halal restaurants to break fast during Ramadhan in Singapore serving scrumptious buffet meals with a wide variety of foods. Here are some of the Hotel Buffets to try this Ramadhan 2017. 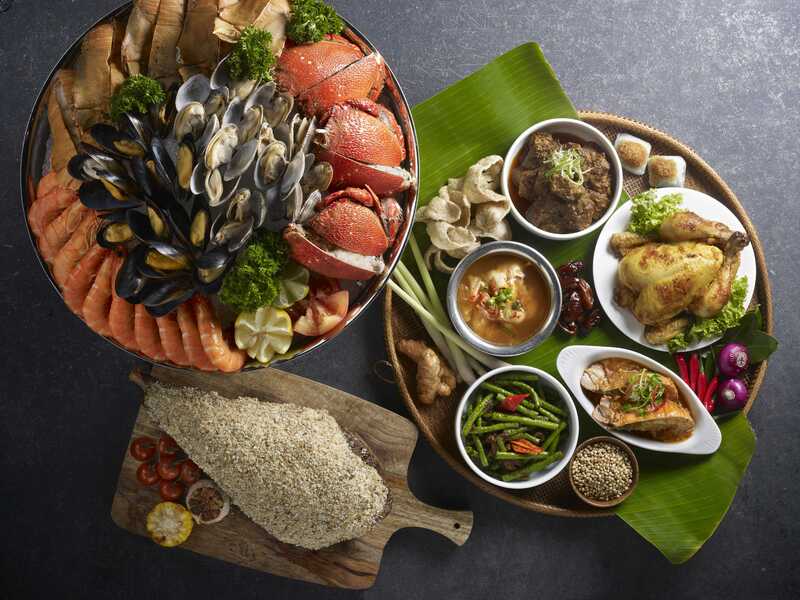 Hilton Singapore’s Halal-certified Ramadhan pop-up buffet gives you a choice of over 90 dishes that take inspiration from all around the world, some of them being Chinese, Indian, Western and Moroccan. 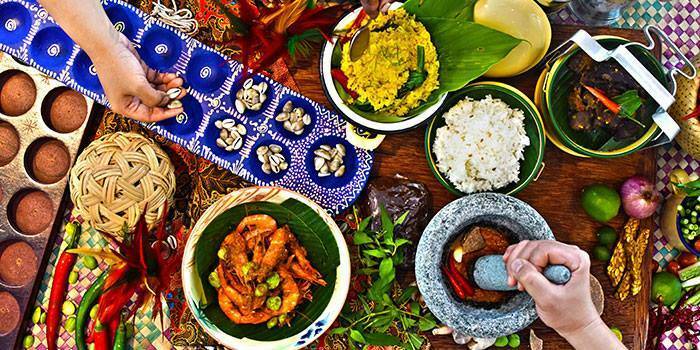 Some of their signature dishes include Ayam Percik with Spicy Sambal, Beef Rendang and Assam Laksa. You can also have a bit of fun at their make-your-own-rojak and roasting stations, where you can build your own dish. What’s better, they don’t skimp out on the desserts either! 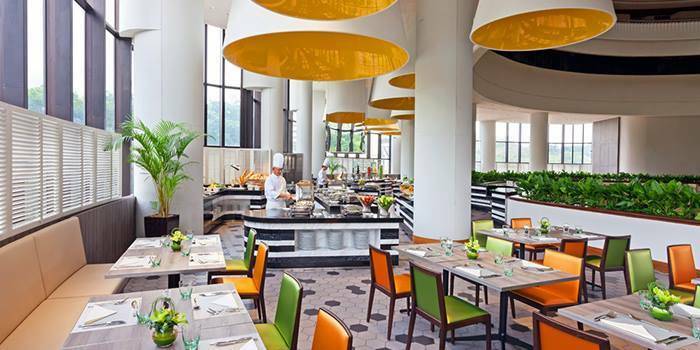 One of the top places to break fast in Singapore is Azur, situated in the world-famous Changi Airport. It is a fine-dining restaurant that specializes in Asian and Western cuisine; the best of both worlds, as they call it. The open-style kitchen concept gives you the opportunity to witness the seasoned chefs work their magic. 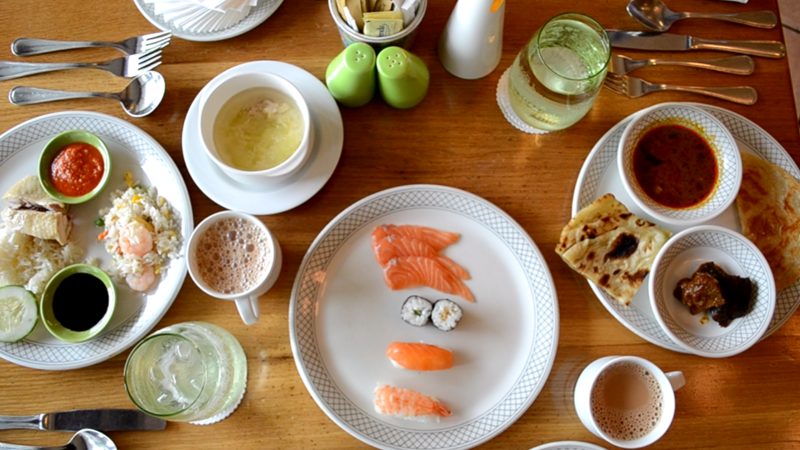 Try their special Buka Puasa Feast buffet; with a multitude of options and the chance to eat as much as you want. You should definitely try the Roasted Beef Rib Eye in Sumatra Style, Seafood on Ice and Apricot Mousse. You also get good value for money! If you’re in the mood for some authentic Thai cuisine, then this is one of the top places to break fast in Singapore. Featuring a special Ramadhan buffet full of dishes that represent the traditional Thai flavors, it is set in a cozy home-style décor of rustic red bricks and crisp white tiles and will make you feel like you’re actually in Thailand. The food is prepared with authentic herbs, spices and ingredients that are imported directly from Thailand as well! Some delicious dishes that you should try are the Larb Spicy Minced Chicken and Herbs Salad, Fried Shrimp Paste on Toast, Blue Mango Sticky Rice, and of course their specialty drink, the Blue Jasmine Mocktail. Yum! 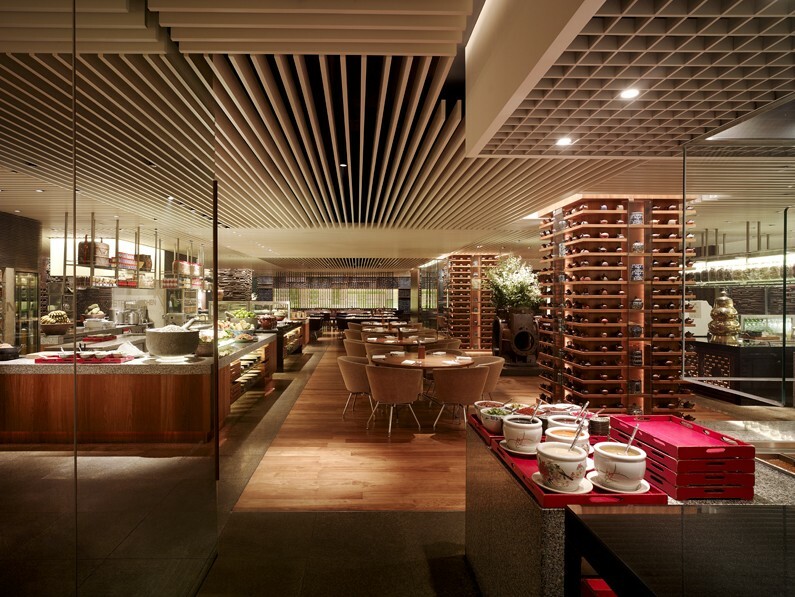 Straits Kitchen focuses on serving delicious and authentic food inspired by what they call the “best of Singapore’s four local races; Chinese, Indian, Malay, and Peranakan”. 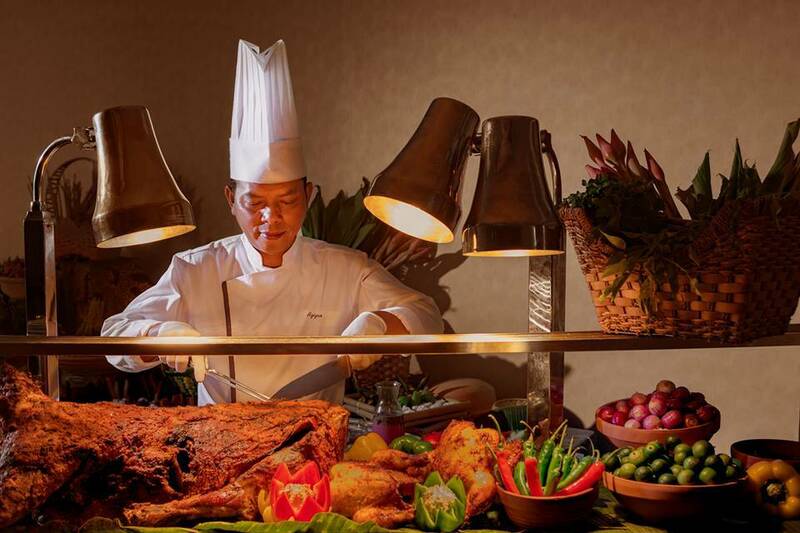 At their Ramadhan Dinner Buffet, not only will you get a delectable range of food, you can also witness the live theatre of having the chefs prepare your food on sizzling grills right in front of you. And they also have a variety of delicious desserts also inspired by the people of Singapore and their cultures. Be sure not to miss out on their highlights such as the charcoal-grilled lamb, chilli crab and the desserts, mohallabiah milk pudding and baklava! Location: Village Hotel Bugis, Level 5 Pool Side, 390 Victoria Street, Singapore 188061. Another Halal restaurant to break fast during Ramadhan in Singapore with an awesome buffet is The Landmark. This is the perfect place for a delicious Iftar experience, with a wide array of dishes to choose from that draw inspiration from many international destinations, namely Western, Indian, Mediterranean, and Asian. For a truly memorable Iftar experience, visit 21 on Rajah at Days Hotel Singapore at Zhongshan Park. The special Iftar "Lauk Kampung" Dinner Buffet at the hotel offers a vast variety of affordable comfort food to be truly savoured amongst family and friends. Buffet highlights include the ever-popular Ketam Masak Lemak as well as the Nasi Dagang, in addition to various other familiar favourites. 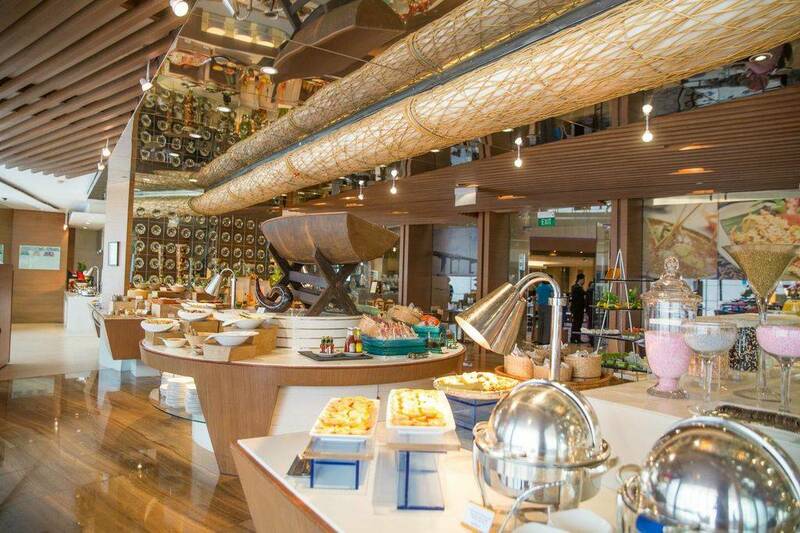 Another great Halal restaurant to break fast during Ramadhan in Singapore is Aquamarine at Marina Mandarin. 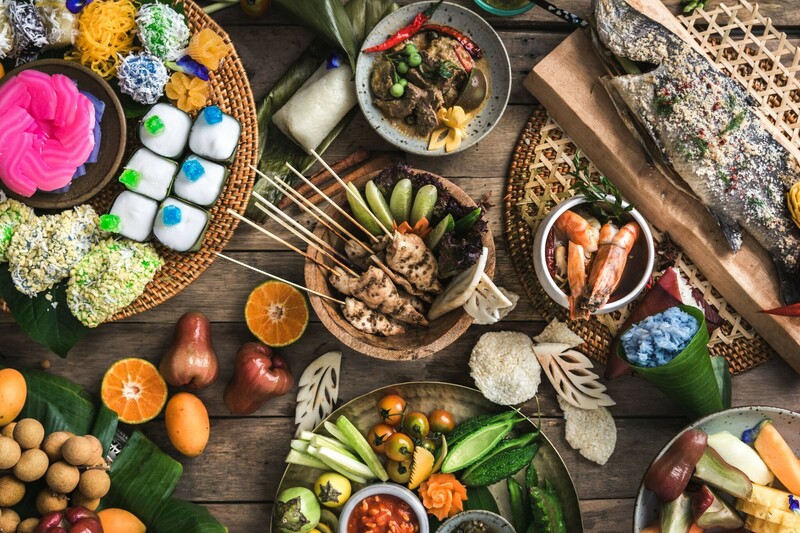 Head here to enjoy a special Ramadhan buffet, with a phenomenal spread of Asian and International cuisines to choose from - as well as a vast variety of Halal-certified food stations. With special Iftar discounts available for families, this is a great option if you're looking for a place to enjoy an Iftar buffet dinner with your family! You may also head to the Atrium Restaurant at Holiday Inn Singapore Atrium for your next Iftar! Here you can enjoy a wide spread of local and international delights - with a myriad of options on offer for seafood lovers. The restaurant's Iftar seafood extravaganza brings you many of your seafood favourites, such as sashimi, lobsters, oysters, chilli crayfish, seafood paella and more. Don't miss out on the live cooking station and the Gelato corner too! The Asian Market Café serves up delicious contemporary Pan-Asian cuisine in an extensive array of dishes in their buffet. Their special Ramadhan buffet is no different! They present you with refined versions of all the favorite local delicacies that you would find at the hawker stands in the streets of Asia. The buffet also involves a fun experience for you with a few made-to-order live stations featuring dishes such as Shawarma and Pita Wrap. The dishes are vibrant, flavorful and authentic and you will definitely leave wanting to come back soon. As the title-holder of “Best Buffet Restaurant in Singapore” at AsiaOne’s People’s Choice Awards for the 7th year in a row, there is no doubt that Carousel Buffet Restaurant is one the best places to Iftar in Singapore. Offering a variety of delectable dishes from all around the world such as Asian, Japanese, French, Mediterranean and more, their savory and sweet collections are definitely set to impress your taste buds! And make sure you don’t miss out on their lavish seafood spread, which is often the most raved about section. 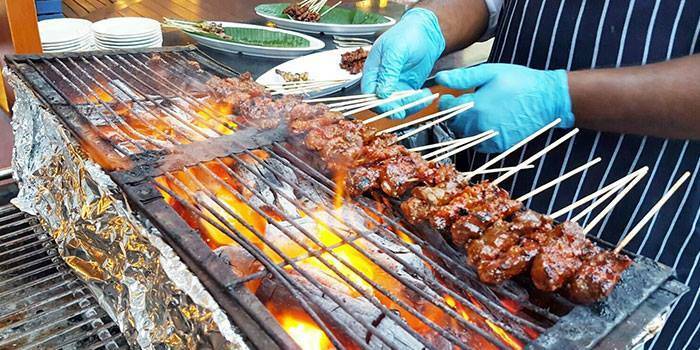 Click here for the ultimate guide to Halal food in Singapore.